Things are happening for Yo-Yo again. Backstage at the Eric B. & Rakim show in Denver, Colorado, the Compton-raised rapper’s energy is through the roof. She’s been on the road with the legendary Hip Hop duo for the entire reunion run, and judging by the smile on her face, there’s no place she’d rather be. 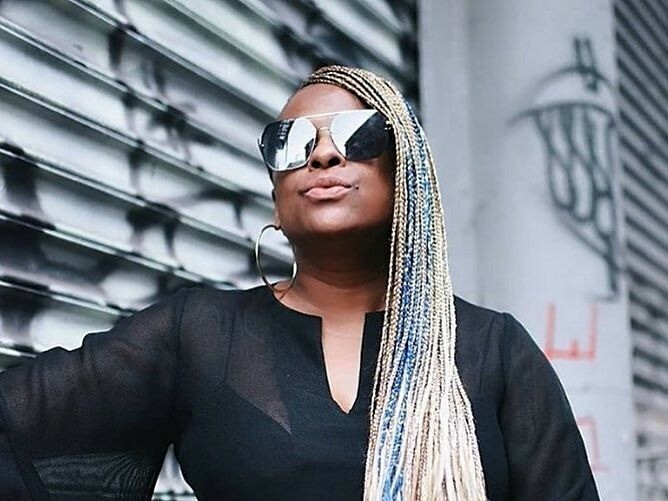 It wasn’t until Unsung released a documentary on Yo-Yo (real name Yolanda Whitaker) in 2015 that she felt people were finally beginning to understand her story. As the mastermind behind the IBWC —Intelligent Black Woman’s Coalition — she’s been advocating for women since the ’90s. As the first female gangsta rapper on the West Coast, Yo-Yo broke down barriers and showed other women it could be done, but there was one problem. Yo-Yo wasn’t even 18 yet. Atlantic Records actually had to wait for her to graduate high school before she could sign a contract. At that age, she was naturally a bit naive to how the music industry works and Yo-Yo admits she wasn’t really being true to herself. “At first, it was just like, ‘Wow. Mama, I made it,'” she recalls. “I’m not asking, ‘Can I buy a car?’ I’m buying a car. ‘I don’t have to put up with your stuff, I’m moving out.’ But after a while, I would say certain stuff in interviews and didn’t know what I was saying, you know? I was so fake. I was trying to be something that I wasn’t instead of just allowing it to take. Over the next few several years, Yo-Yo released four solo albums, including her 1991 debut Make Way For The Motherlode and 1992’s Black Pearl. While on the road, she forged a close friendship (and eventually romantic relationship) with one of the dancers for Digital Underground — Tupac Shakur. Of course, ‘Pac ended up becoming one of Hip Hop’s most legendary luminaries. As Yo-Yo’s success continued, she realized she was hiding behind a mask. But all that changed. After leaving Atlantic Records in 1998, her path eventually led her to radio. Through her own show on the L.A. station KDAY, she discovered her passion for mentoring and teaching. In 2011, she established the first Yo-Yo School of Hip Hop in South Central L.A., which aims to empower young women through the culture. Since then, she’s learned fame and fortune was never what life was about. At 46 years old, Yo-Yo’s a lot wiser and has daughters of her own. But she sees there’s a lack of leadership and sisterhood, and she’s more adamant than ever that women stand up and use their voices. “I did this interview the other day and a guy talked to me about the #MeToo movement,” she says. “I know the #MeToo movement is really big, but what I try to do is get women to not have the #MeToo even happen. As Yo-Yo is getting ready to pack up and leave Denver’s Fillmore Auditorium to head to her next stop on the tour, she ends the interview with an anecdote. Yo-Yo was so concerned about her condition, she started making frantic phone calls. “I was so high I never wanted another one again,” she says. “I called my aunt. I was like, ‘What do I do?’ She’s like, ‘Oh. You have to drink some milk, you might have overdosed.’ I was like, ‘Overdosed! ?’ [laughs].